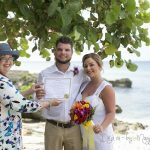 There are many reasons a couple might choose to renew their wedding vows and get their wedding rings re-blessed. Often this ceremony can be a tangible sign of a new start in their relationship. 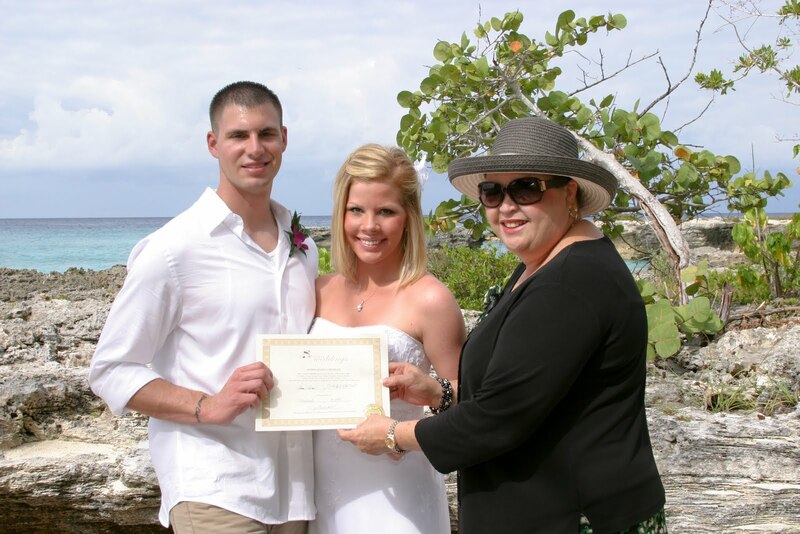 I call these ceremonies a "Wedding Blessing" and I will do them for couples who have not been married for very long. 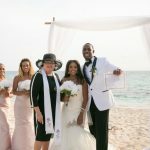 Sometimes I do them if the couple had a civil ceremony and they want the memory of the beautiful words of our wedding ceremony accompanied by beautiful pictures in an exotic wedding destination like the Cayman Islands. This was a very photogenic couple, married a few years the husband is in the military. Of course we gave them complimentary champagne as we do for all active servicemen, firefighters and policemen. We like to show our appreciation for the men and women who keep us safe. 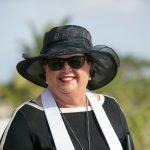 We require two witnesses for a Wedding Blessing certificate, here's Peggy being one of them. Posing with Joy. In case you wonder why there's always a picture of me in these entries, its because I'm usually the one doing the meet and greet for our cruise couples, and I want to make sure you recognise me. This couple had a lot of fun trashing the dress in the sea at Smith's Cove. It was in the mid-eighties that day too, so cooling off in the water was a good option. Luckily on this day the cove was virtually deserted. 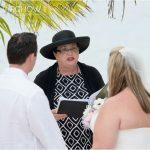 Call Simply Weddings - Grand Cayman Wedding Celebrants and Planners +1 (345) 9499933 for all your wedding, wedding vow renewal and wedding blessing needs. These photos by Mari of Island Photos, flowers by Trisha's Roses. 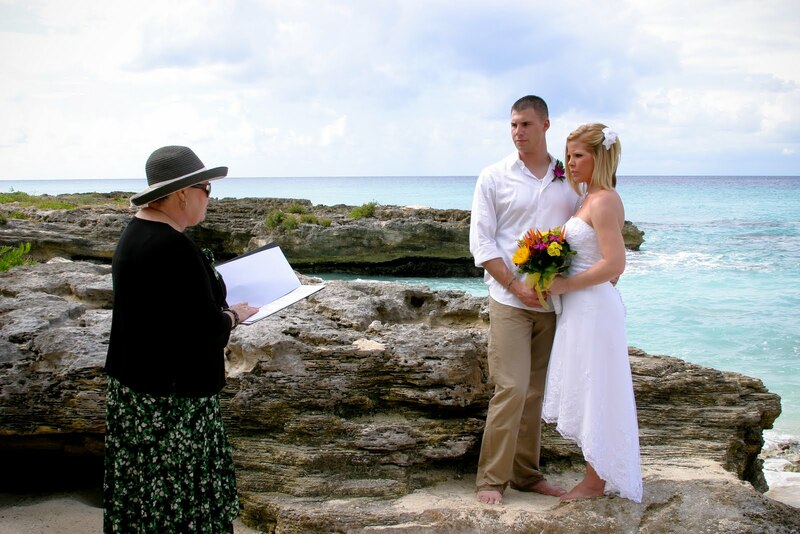 We are your Grand Cayman Cruise Wedding specialists. 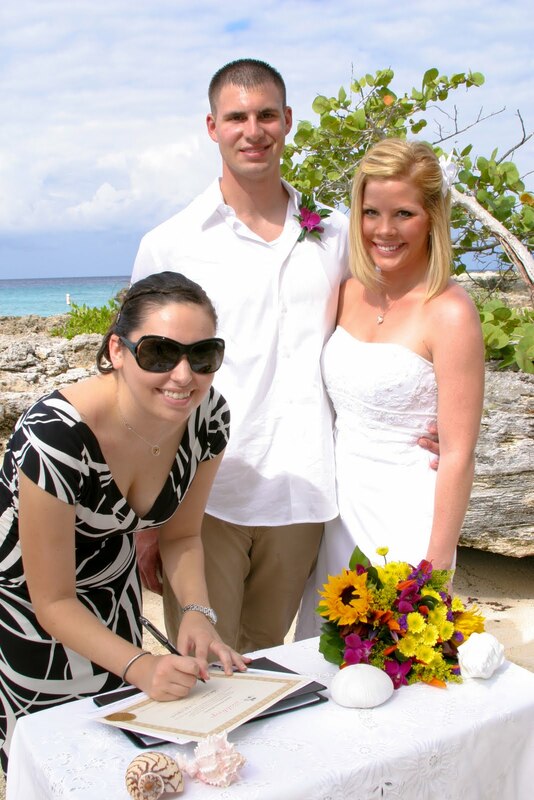 Ask about our all-inclusive Cayman Cruise Wedding Package, our most popular cruise wedding option, includes transportation.